Negative thoughts are one of the biggest energy consumers. When you criticize yourself, think about yourself in a negative way, your energy field blows off in seconds like a ballon. How many times a day do you say or think something negative about yourself...? If you want to have more energy, changing these thoughts and assumptions is a significant step. 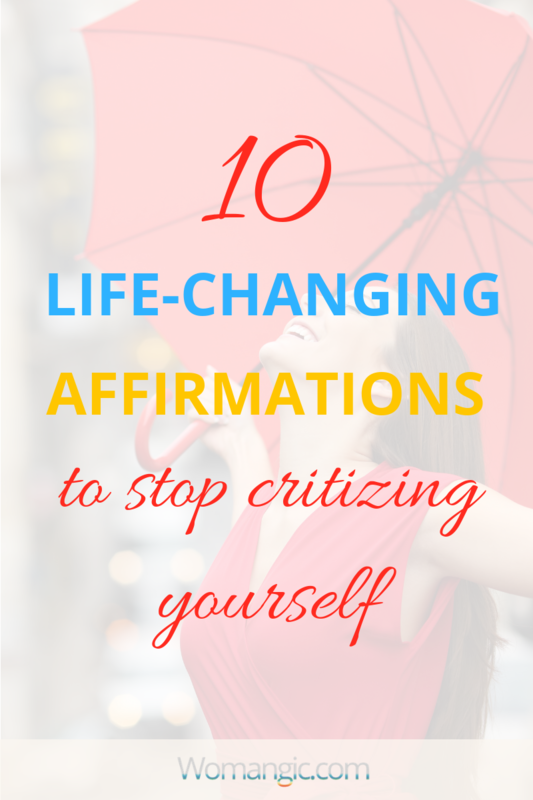 Affirmations are great at helping us rewrite subconscious beliefs. Affirmations are more effective if you repeat them regularly, try to repeat those every day for a couple of weeks and see your life change. 1) I love and approve of myself! 2) The universe always cares for me and everything happens for my higher good! 3) I am allowed to enjoy my life to its full, it gives me energy and new ideas! 4) I trust my vision, I listen to the whispers of my intuition and it always helps me to create success! 5) I love myself enough to claim my power, set and respect my boundaries! 6) No one is responsible for my confidence, but me. I forgive everyone who made me feel insecure. 7) I am unique and special the way I am! 8) I am guided. The Universe always provides me with love and wisdom. 9) I have the strength to realize what I want. I act with confidence, my life is abundant! 10) Life loves me. I am worthy of love, care. I receive love every moment of my life! Download them in a pdf with beautiful pictures to maximize effect with visuals! P.S. More powerful affirmations and detailed guide how to work with them you can find in S.P.I.R.I.T. Formula Course, this powerful program already helped a thousand women to feel more confident and find balance.